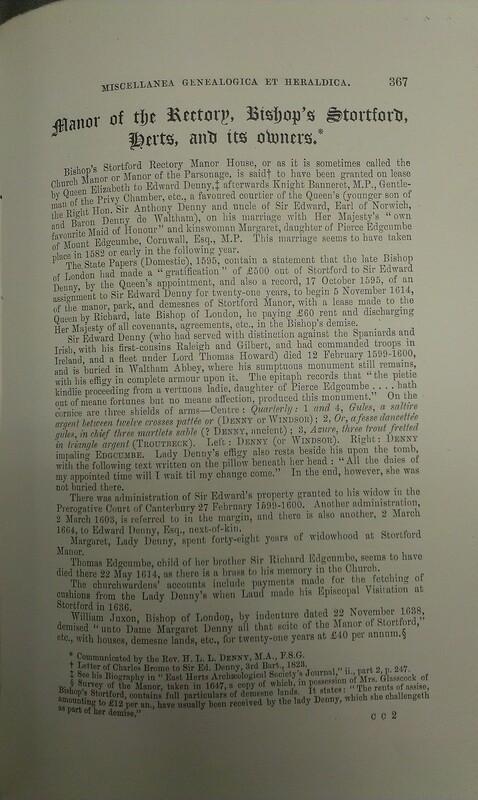 "Biography of Sir Edward Denny", by Sir Henry Denny, 7th Baronet, Hertfordshire, 1905. 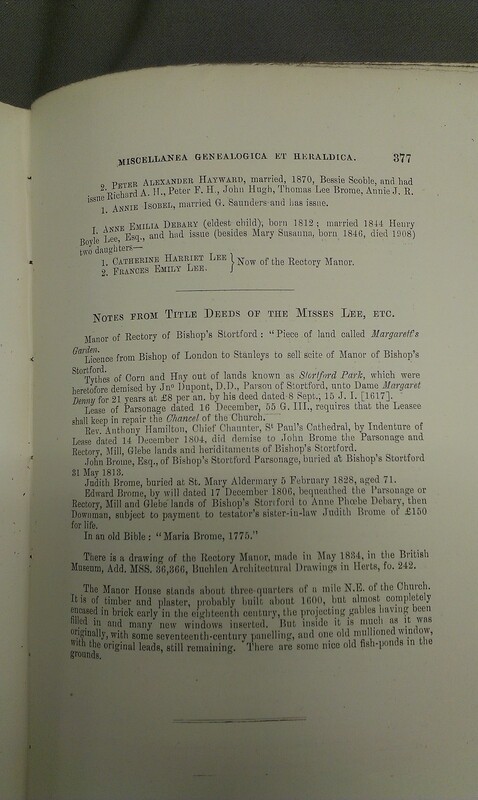 "Manor of the Rectory, Bishop's Stortford, Herts, and its owners", by Sir Henry Denny, 7th Baronet, [MGH] 4th Series, vol.5, pp.367-77 (1913). [RIA] MR/26/Q/19a. See p.367 and p.368 and p.369 and p.370 and p.371 and p.372 and p.373 and p.374 and p.375 and p.376 and p.377. From Victoria and Albert Museum. Image used with permission of V&A Images/Victoria and Albert Museum. 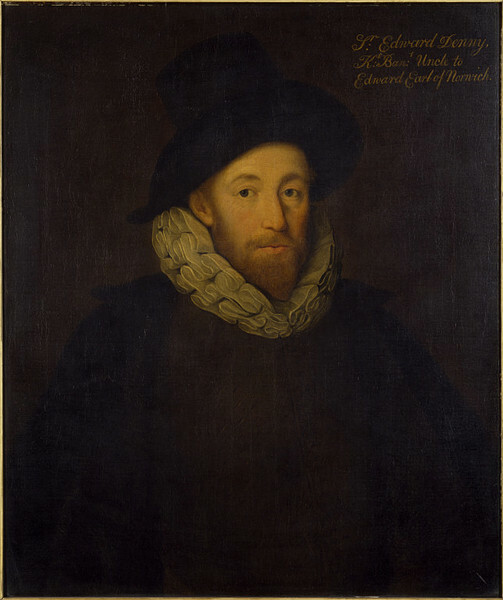 Sir Edward Denny (see here and here), born 1547. He was a favourite of Elizabeth I and of Lord Burghley. He was a friend of Sir Henry Sidney and Sir Philip Sidney and Edmund Spenser. He was on an expedition to north of Ireland 1574 under 1st Earl of Essex to suppress rebels and install settlers. He served against the Spanish. Sailed the Spanish Main (the Spanish possessions in the Caribbean) with his 1st cousins Sir Walter Raleigh and Sir Humphrey Gilbert. He was sent to Ireland 1580 with Sir Walter Raleigh to suppress the Desmond rebellion (1579-83). He served under 14th Baron Grey of Wilton at Smerwick, Co.Kerry, in Nov 1580, when Grey massacred surrendering Papal troops and Irish rebels and their families. He led a campaign 1581 against the rebellious O'Tooles of Co.Wicklow. He returned to England with the head of their chieftain, Garret O'Toole. He mar 1583 or early 1584 to Margaret Edgecumbe [born 1560, descendant of Edward I]. 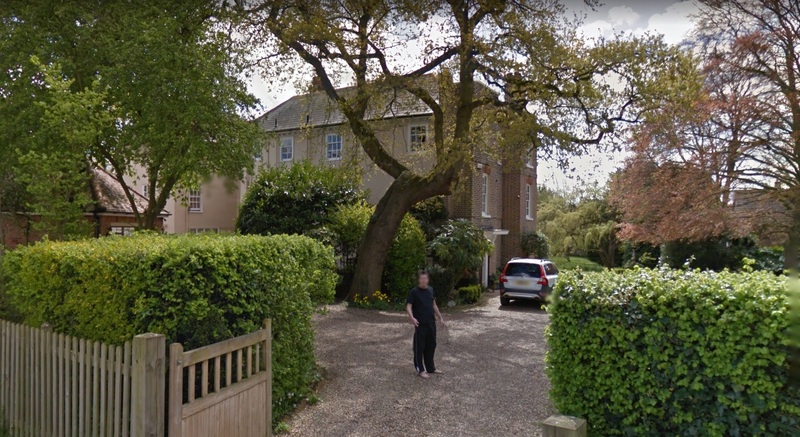 As a wedding present, Elizabeth I gave them Rectory Manor House, Bishop's Stortford, Hertfordshire. He was granted 1586 a large part of the Earl of Desmond's forfeited estates after his defeat. He was granted Desmond's chief castle, Tralee Castle, at Tralee, Co.Kerry. Tralee Castle and Tralee town had just been destroyed in the rebellion. 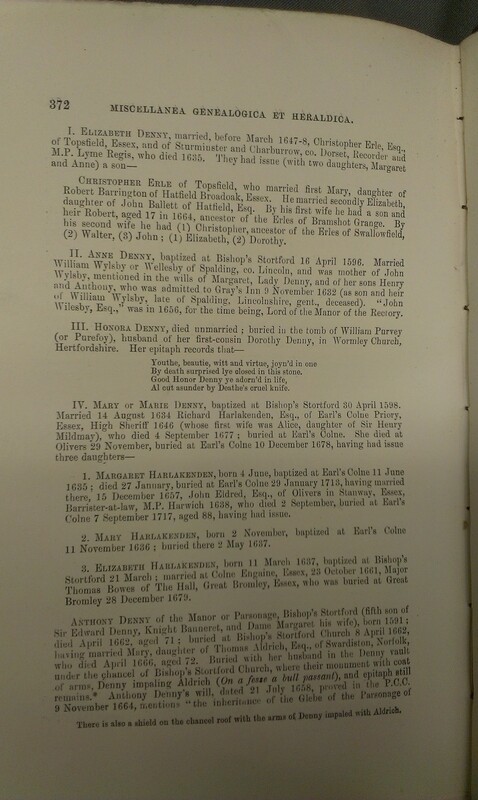 Pages 51-52 of [Smith, 1756] show the grant dated at Dublin, 7 Sept, 29 Elizabeth (7 Sept 1587). He was knighted 1588 by Sir William Fitzwilliam. High Sheriff of County Kerry. Governor of Kerry and Desmond. Helped implement Munster Plantation. Tralee Castle was in ruins. He apparently lived at Carrignafeela Castle near Tralee. He spent some time in Ireland but returned to England. Tralee was burnt again in an insurrection in 1598. He died 12 May 1599, age 52 yrs. He was bur Waltham Abbey, Essex. 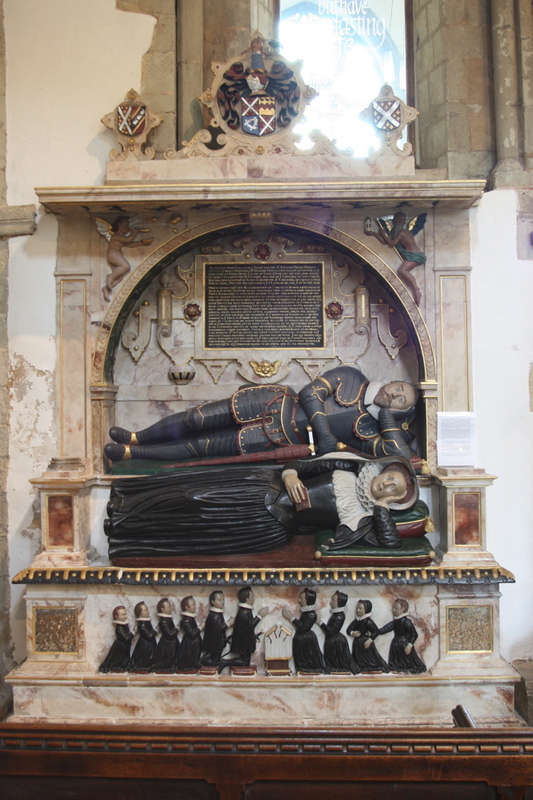 Beautiful tomb built 1600 with sculptures of him, wife and children. Margaret lived for decades after him. She lived Rectory Manor House, Bishop's Stortford, Hertfordshire. 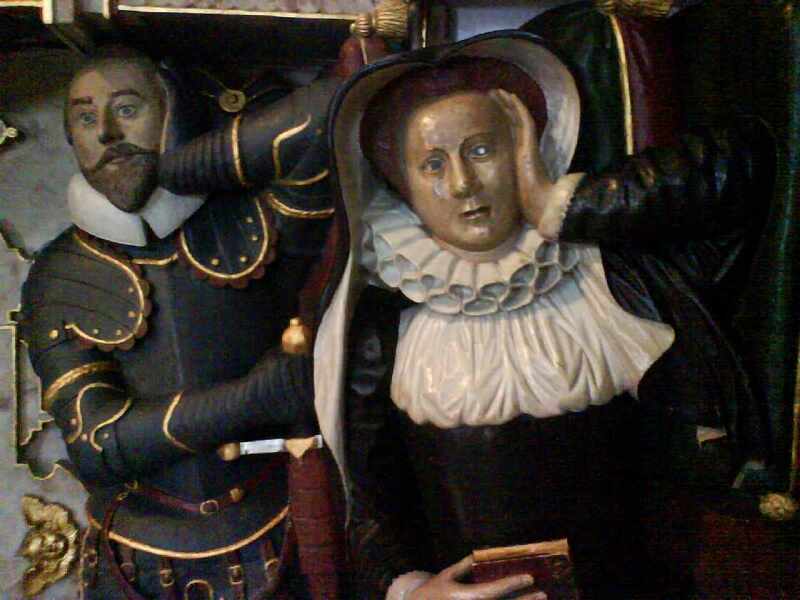 She outlived her son (died 1619). She lived to see her great-grandchildren, who were sent to stay with her for safety during the 1641 Rebellion in Ireland. 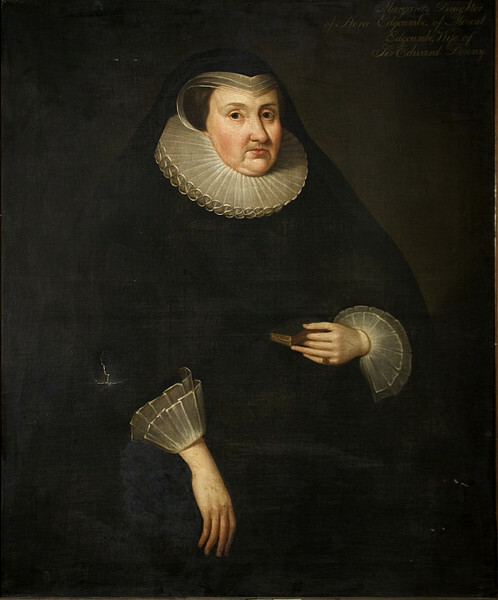 She outlived her grandson (died 1646). bur Bishop's Stortford, though sculpture in Waltham Abbey, Essex. 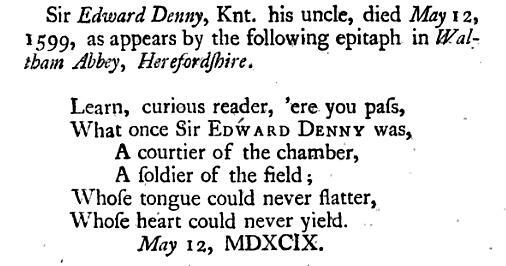 sometimes written as Edward, but that may be an error. Rectory Manor House, at Bishop's Stortford, Hertfordshire. 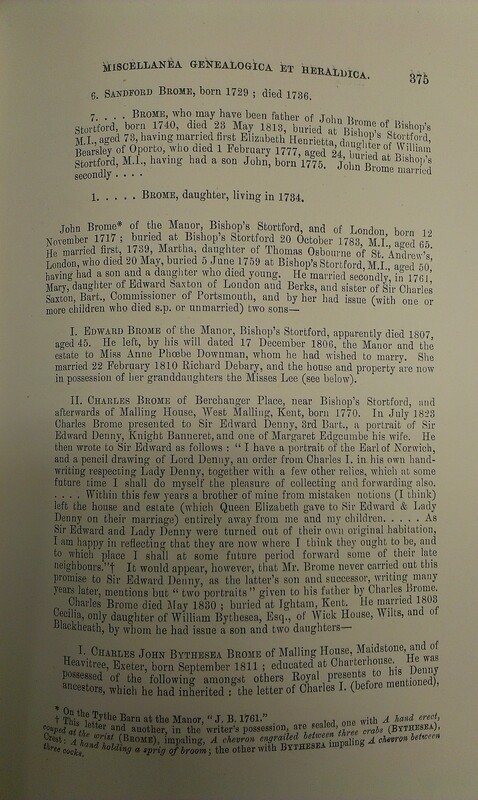 Also called "Bishop's Stortford Manor" or "Stortford Manor House". 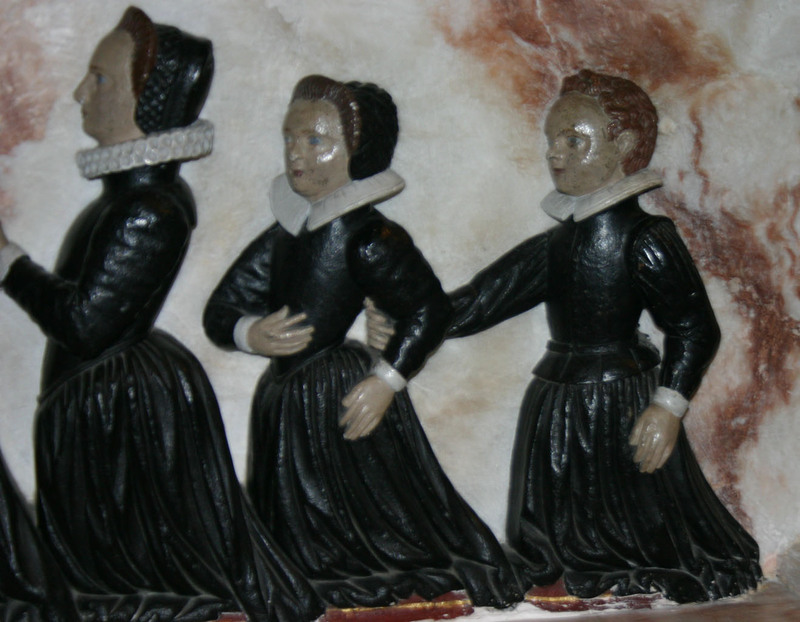 Granted to Sir Edward Denny and Margaret Edgecumbe 1583-84. 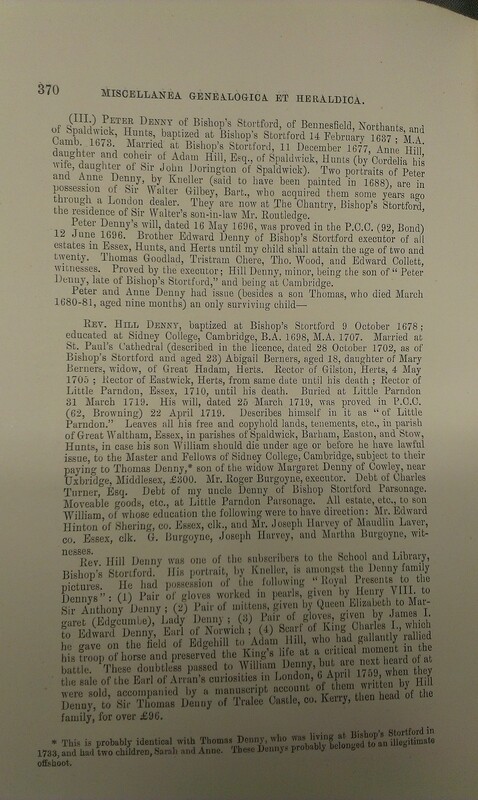 Sir Edward Denny died 1599. His widow Margaret lived at Rectory Manor House for decades. 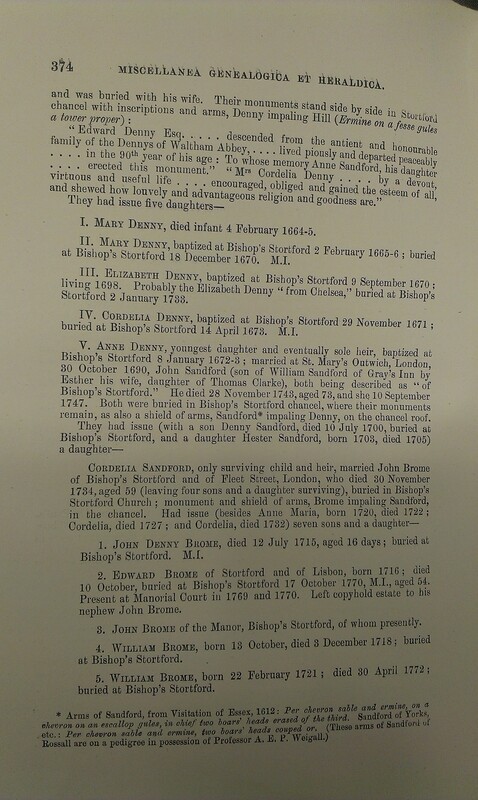 During the 1641 Rebellion in Ireland, Margaret's grandson Sir Edward Denny sent his wife and children to live with his grandmother (the children's great-grandmother) in England at Bishop's Stortford for safety. 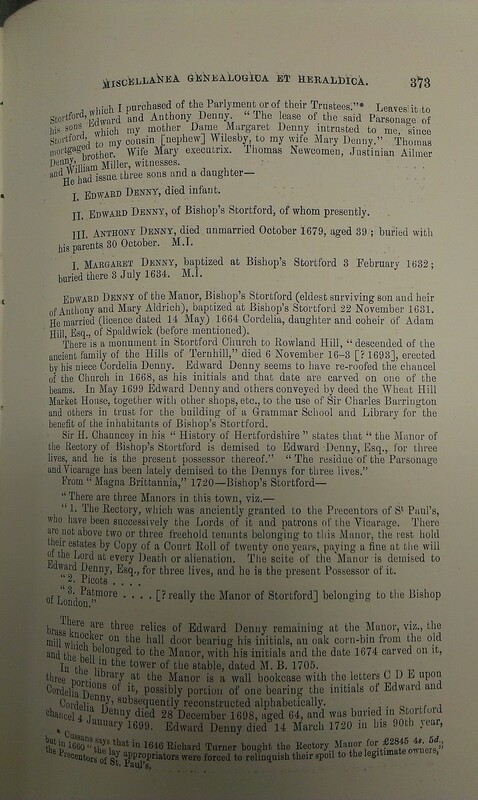 Margaret's great-grandchildren who were sent to Bishop's Stortford included Elizabeth Denny (born 1635). Now called "Church Manor House". Rectory Manor House is the "Parsonage" here to the NE side of Bishop's Stortford. 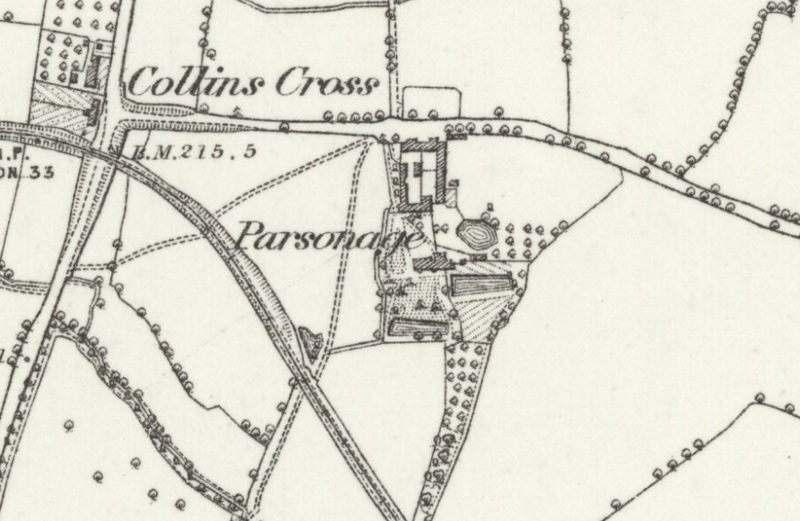 From old map. 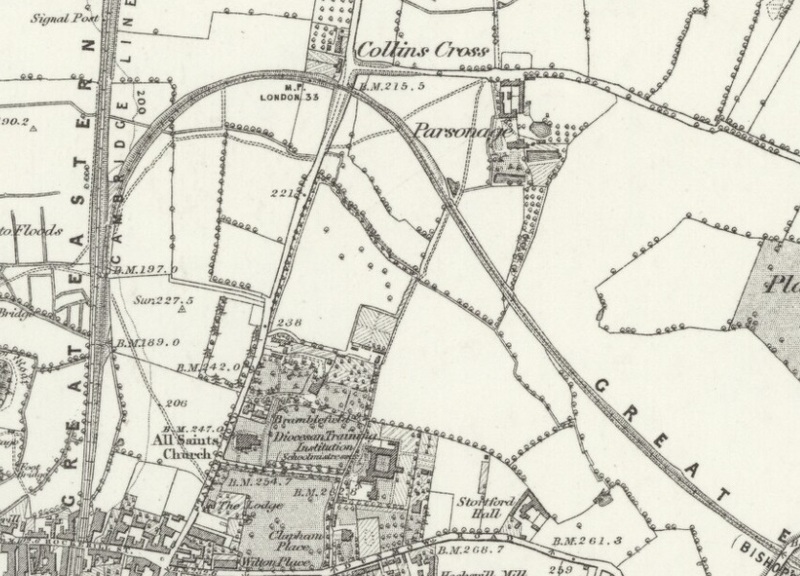 Surveyed: 1874 to 1879. Published: 1880 to 1883. Rectory Manor House ("Church Manor House"). Drag to rotate. From Google street view. 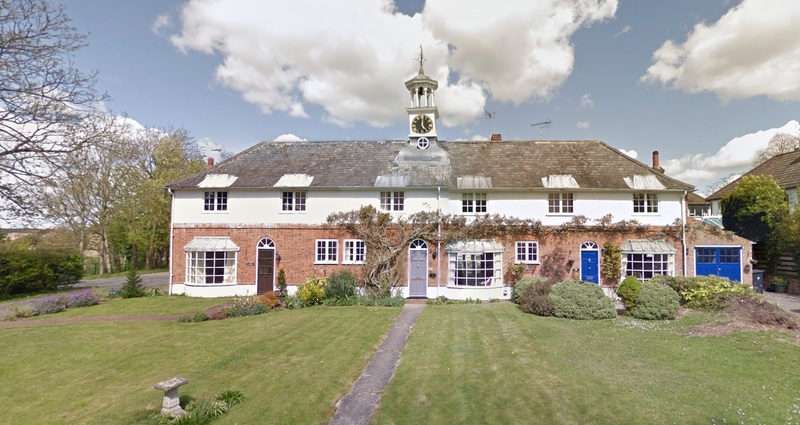 The stables of Church Manor House (opposite the house) are now converted to living accomodation called Glebe Court. 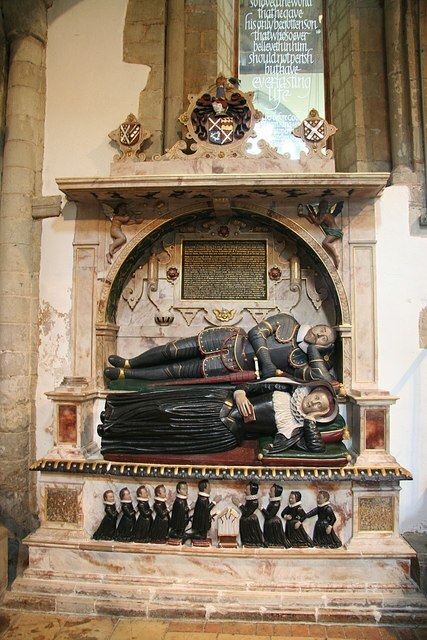 Tomb of Sir Edward Denny, Waltham Abbey, Essex. The inscription on the tomb of Sir Edward Denny, as given on p.50 of [Smith, 1756]. 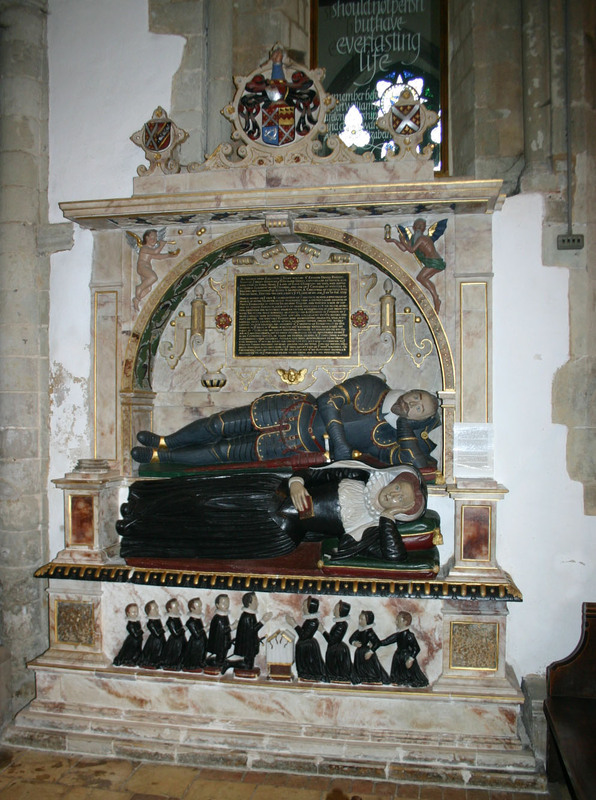 Tomb of Sir Edward Denny and Margaret Edgecumbe. Waltham Abbey, Essex. Photo 2007 by Rev. Steve Day, curate at Waltham Abbey church. Used with permission. See close-up from Rev. Steve Day. Used with permission. See other shot from John Hawes. Used with permission. See 2008 shot by Richard Croft at Geograph. 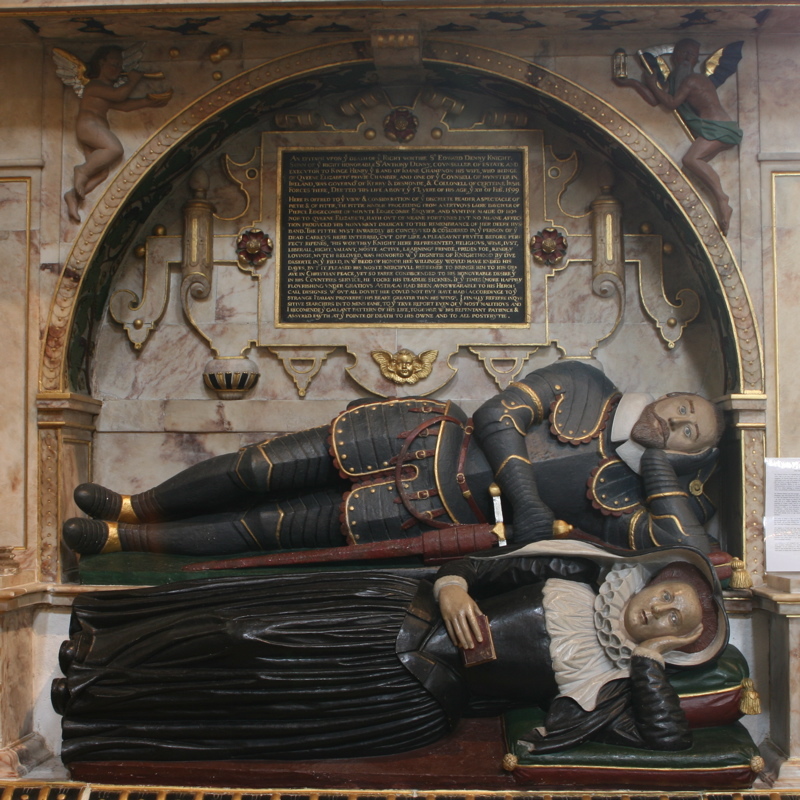 Tomb of Sir Edward Denny and Margaret Edgecumbe. 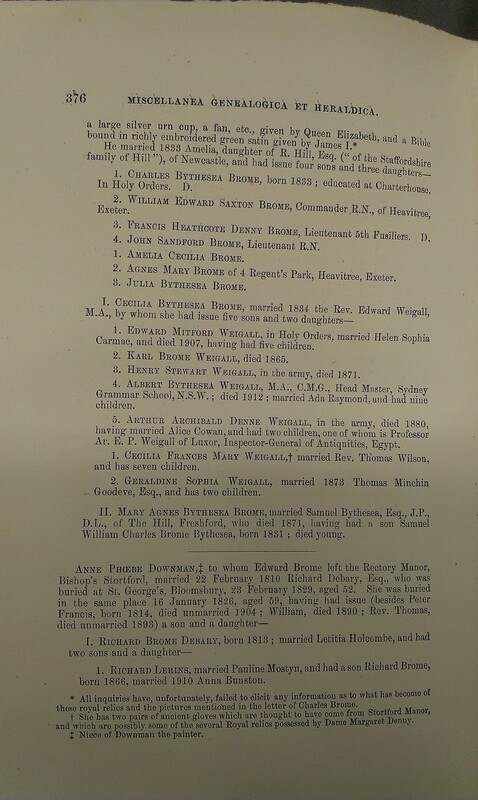 The children of Sir Edward Denny and Margaret Edgecumbe. See detail of RHS from John Hawes. Used with permission. Denny's sausage company was founded by Henry Denny (unidentified) in Waterford in 1820. Henry Denny and Sons Ltd, Tralee, Co.Kerry, founded 1824. 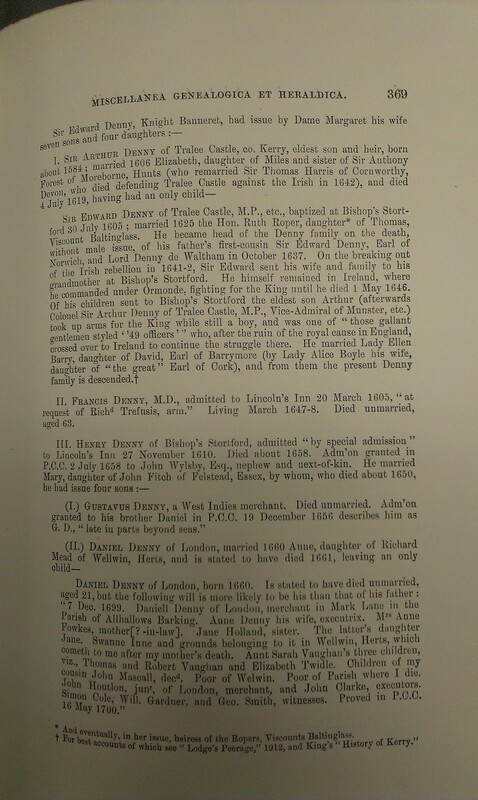 Henry Denny was Mayor Of Waterford 1854-55. 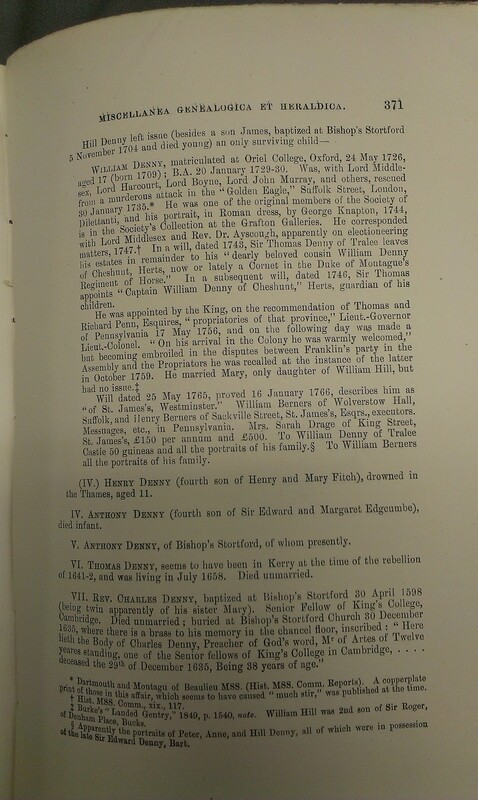 Henry Denny is buried in the vault in the Abbey Church, Waterford. 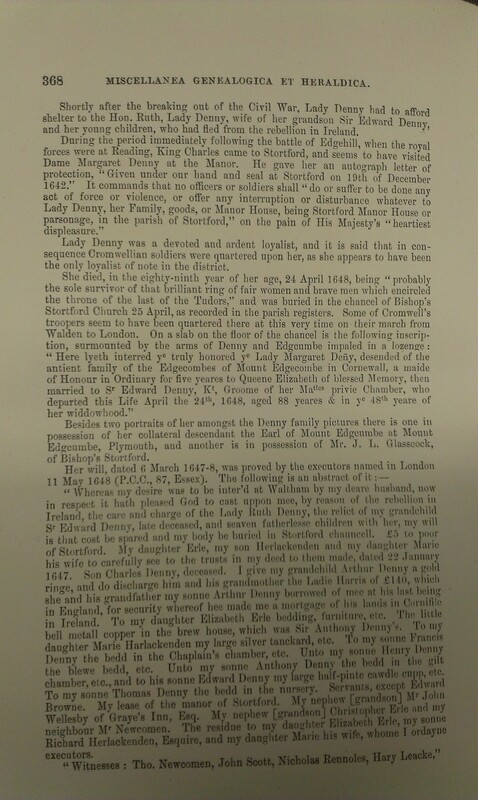 His youngest son Edward Denny died in 1905. Denny's sausages are purchased by a girl in the chapter Calypso of Joyce's Ulysses (1922). Henry Denny and Sons Ltd of Tralee was acquired by Kerry Group 1982.